This is a very quick thing. There’s a Goodreads competition going on for 20 lucky people to win copies of With Silent Screams. All you have to do it click on the cover below and it’ll take you right there. You’d best hurry though as you only have 12 hours to do it. This is for those who live in the US only. Sorry if you live elsewhere. Once again it’s time for a blog post from one of my awesome friends at 47North. This month’s is Stant Litore, who writes the very impressive The Zombie Bible series. Take it away, Stant. My novels are sold as horror and there is certainly a lot of horror in them. But in my heart, I’m also writing works of fantasy, massive alternate histories in which the dead walk and hunger and brave prophets, clerics, warriors, and everyday men and women have to stand against them and against the forces in their culture that make the hunger of the dead both possible and inevitable. Fantasy and horror are siblings, you see. At their heart, both are about close encounters with something that is strange and new to us, something uncanny. Whenever we encounter something strange and different, something unexpected—whether that’s a person who’s different from us or a planet—we experience fear and wonder. And in the moments that follow, we allow one or the other of those to drive us. Fantasy tends to focus on the experience of wonder, and horror tends to focus on the experience of fear, but of course, these aren’t mutually exclusive. In Middle Earth, the Pillars of the Kings and the near-immortal trees of Lothlorien are occasions for wonder, but there are also Balrogs and unquiet dead. 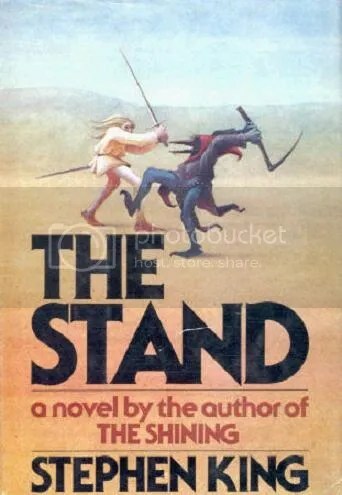 And in Stephen King’s The Stand, there is a whole lot of creepy, but there are also moments of sheer wonder—when, for example, you encounter Mother Abigail in a Nebraska cornfield while you sleep. I have been thinking a lot lately about what drew me to these genres in the first place. 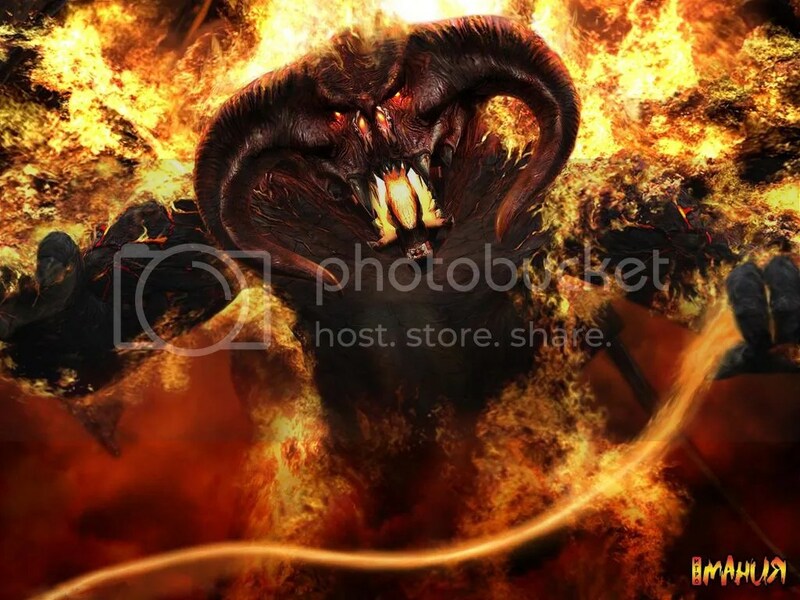 I figure it was the Balrog. I distinctly remember sitting on a second-grade bus with a paperback clutched in my sweating hands, heart pounding as Gandalf stood on that bridge facing a demon of fire and darkness. Man. That was some storytelling. The same year, someone gave me a weathered little Bible as a gift, and I tore into it, reading in a fury and hunger that only the really young know. I read Genesis at a gulp. I was enraptured. Such moments of wonder and fear, fantasy and horror, all rolled together: an ark tossing on a flood, a man standing over his altar-bound son with a knife, and through it all, a desperate yearning for reconciliation, between husbands and wives, fathers and sons, humans and God, and between everyone who is separated, different, and alien to each other. I think that’s where my passion for fantasy and horror began—with a Balrog and with a boy bound to an altar. I love these genres, these siblings, fantasy and horror. They are important genres. They wrench us out of our cubicle lives for a while and seduce us into dark forests where we confront, larger than life, the very situation that we live out every day of our real lives: our encounter with something different, something that we might either wonder at, or shrink back from in fear. In living that moment again and again, safely, in the pages of stories, we might—we might learn—to live that moment just a bit better. Because it’s so important: how we respond when we encounter something, someone, who seems alien to us. Do we pull away in dread? Or do we draw closer to discover more? Isn’t that decision what defines us? I wrestle with that throughout The Zombie Bible. I’ve been wrestling with it since second grade. I am Stant Litore, and I am a devourer of stories. I’m pretty sure it was the Balrog and that bound boy that began it. Thanks very much, Stant. You can learn more about Stant, by going to his website. And find a copy of Strangers in the Land, here. As 2014 is well underway, I figured I’d share my plans for writing for this year. 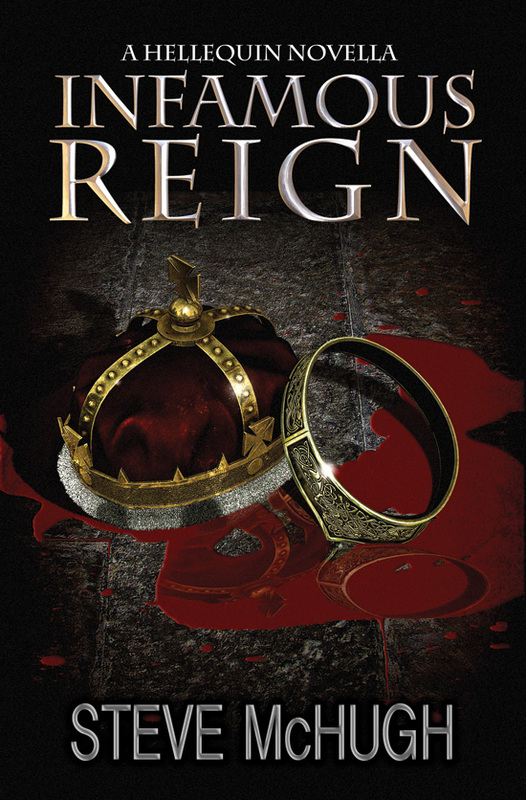 As most of you know, I’ve just published Infamous Reign, A Hellequin Novella. It’s done fairly well, with an average of 4.8 out of 5 on Amazon.com from 12 reviews, and 5 out of 5 in Amazon.com from 8 reviews. And 2014 continues with the Hellequin theme with the publication of Book 3; With Silent Screams on the 18th Feb. If you haven’t pre-ordered it yet, you can on Amazon. Currently I’m writing book 4: Prison of Hope. It’s going well, and I’m hoping to have this draft done by a few months at the most. As for when it’ll be out. No idea. It depends on a lot of factors, but I’ll keep everyone up-to-date when I find out. Once PoH is done, I have few other projects I’m interested to get started this year. Chimera Book 1, my steampunk, horror book is very much on the forefront of my mind and it’s what I’ll be starting after PoH. Hopefully anyway. As for the rest of the year. Well, I need to get Hellequin Book 5 done and there are 2 Hellequin offshoots I want to write. Both are the start of a trilogy of books, and while they’re both in the Hellequin universe, neither star Nate. I can’t tell you what either of them are about yet, as I don’t want to spoil anything, but I’m favouring one over the other. 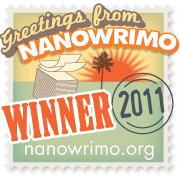 So hopefully my third book this year will be one of these. If I have time, I do have a novella idea staring Tommy. I’m a big fan of Tommy’s, so I’d like to give him is own book. So there we go, that’s my sort of plan for the year. Best laid plans and all that, but time willing, I should be able to get 3 books written in 2014. I don’t need sleep. Probably. Here’s the first chapter from the upcoming Hellequin Chronicles book 3: With Silent Screams. Any spelling/grammar issues are because this isn’t the final edit. If you haven’t picked up the first 2 books yet, you can get them for $0.99 at the moment by using this deal. Sirens wailed as I parked the Mitsubishi Warrior next to a row of police cars and climbed out into the cool night air. “He’s with me,” Sky said as she followed me out of the truck and showed the cop her ID. “Sorry, Ma’am,” he said and stepped aside, allowing us through. I pushed down the part of me that screamed to run toward the house—it wouldn’t do anyone any good. Body bags were already being carried into the house. The building itself was a fairly old brick structure, with two floors and probably four bedrooms. It certainly looked big enough. The nearest neighbor was a few hundred feet away, and with all the open ground and trees around it, I doubted anyone had heard a thing while its inhabitants died. “Damn it,” I said as we reached the front door and I saw the splatter of blood inside. “Hey, who the hell are you?” a male detective shouted as he strode toward us. Sky flashed her ID again. Sky’s ID just had a badge and a picture of Hades’ logo on it—a raven sat atop a shield. Like all of the more powerful members of the world, Hades had his own business empire and security force. Very few humans knew that the Hades from mythology was real, although the two barely matched up in reality. The majority of law enforcement in Canada had heard of Hades as an organization, and most thought it was a secretive, CIA-esque authority. They were only partially correct. “And the man?” I asked. “No, detective, you won’t,” I said and walked passed him and into the nearest room. Blood saturated the carpet and a man in white overalls was examining the body of an elderly lady, looking for clues, while his colleague searched the room. “Did she die in here?” I asked them. I stared at the wall, and as the man said, the blood spray suggested she was standing when stabbed. “Have you found a knife?” I asked. The man glanced over at his colleague, neither of them wanted to say yes. “He’s with me,” Sky said again. I got the impression she enjoyed showing off her ID. Hades would probably get a call about an employee of his walking onto a murder scene, but I doubted he’d be too concerned. Hades allowed his employees the freedom to work as they needed to, and Sky, as his daughter, was given more than her share of allowances. The coroner moved aside, and after placing some gloves on my hands, I crouched beside her and took a look at the body of Mrs. Vivian Moon. She’d bled out from the massive gash on her throat. “You okay, Nate?” Sky asked as she joined me. “No,” I said softly, hoping to keep my temper in check. “Where’s the male?” Sky asked the coroner. I removed my gloves and threw them into the hazardous waste bag as we left the room, then followed the man’s directions upstairs, the smell of death growing ever stronger. I grabbed a second set of gloves from a box outside the room, with Sky following suit, and we opened the door to whatever horrors the coroner had warned us about. There were two detectives inside, one male and one female and both of them did their best to not glance at the blood-soaked bed. At some point the man who’d been on it had been a detective by the name of William Moon. He’d been a good man, an ex-Marine who had served his country during the Vietnam War and who had come back determined to do something good in the world. That good had eventually gotten him killed. “You knew the victim?” one of the detectives asked. “Can you both give us a minute?” Sky said, showing them her ID. They nodded and left the room. Sky placed a hand on my shoulder and I placed my hand on top and squeezed slightly. There was a time when we had almost been more than friends, but time and personalities had ensured that it never happened. Sky removed her phone from her pocket as I noticed a business card that had fallen onto the carpet beside where Bill would have laid on the bed. I picked up the black card and found that it belonged to a hotel in Manhattan, the Scepter Hotel. A bloody mark stained both sides of one corner. At one point, I would have used my blood magic to try and get some insight into who the blood belonged to. But those days were gone. Since my necromancy had reared its head nearly a year ago, my blood magic had vanished. Hades had told me that necromancy and blood magic can’t coexist, but it was a huge thing to lose, and something I still had trouble getting used to. “You ever heard of this?” I asked Sky, passing the card to her as she told someone on the other end of the phone to wait a moment. “I’ll bag it up,” she said and took it from me as she started talking on her phone again. I walked over to a nearby door and pushed it open, revealing a clean ensuite bathroom. Directly in front of the door was a mirror above a white sink. Someone had written “welcome back” on the glass in blood. I noticed the small camera, positioned on top of the mirror. And then my world exploded. 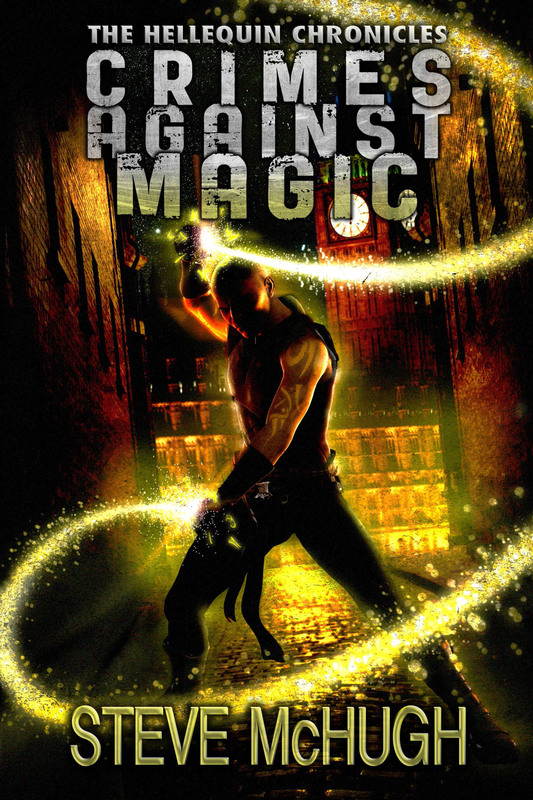 No amount of magic at my disposal could have stopped the destructive power of the explosion as it rushed toward me. A hastily assembled shield of dense air robbed it of its potency and left me alive, but the shockwave still picked me off the ground as if I were made of paper, flinging me back through the nearest window with a crash. I slammed into the solid earth with a crunch, tumbling backward until a large tree stopped any further movement with a definitive thud. I lay there, covered in blood, dirt, and brick dust as my brain tried to catch up with what had happened. The first port of call was pain. It washed over me, hunkering down in every conceivable place on my body. My ribs felt as if on fire, turning even the simple act of breathing into a battle. My left arm was numb, and my back felt wet, but I couldn’t move enough to find out what had happened. I coughed and the pain roared through my body until I spat bright blood onto the grass beside me. Probably a punctured lung. All in all, I was lucky. I might not have felt it, but if I’d been human I would have most certainly died. My magic had started to heal me—my ringing ears faded back to normal within a few seconds, so I just sat still as the thoughts of Sky and the officers in the house filled my head. Were they okay? Did I take the brunt of the blast? The more I thought about it, the angrier I got. Unfortunately, I couldn’t move. A short while later, a young woman walked out of the woods beside me toward the ruins of the house. She glanced around briefly as flames leapt from the giant hole where the bedroom and bathroom used to be, then turned toward me. Her high heels and knee-length dress were an odd sight, but the smile on her face suggested she was not here to help. She ran her hand through her shoulder-length brown hair and stood a few feet in front of me, the smile never wavering from her beautiful face. I’d never seen her before—there wasn’t even a glimmer of recognition on my part—but from the callous grin on her face, I got the impression that she certainly knew me. She took a few steps toward me and breathed deeply before placing one of her heels against my shoulder and pushing down. The strength of the woman was incredible as the heel tore into my shoulder, causing me to yell in pain as she turned her foot left and right. “You triggered the explosion,” I said. A cold rage began to fill me, but I couldn’t have fought her on rage alone—I’d have been killed. Instead, I was forced to sit still, watch, and listen, which did little to improve my mood. The woman made a contented sound, like a purr. “Of course. I wasn’t meant to come say hello, but I just couldn’t stay away. I wanted to see how you’d handle this . . . warning.” She raised her head and listened as the sounds of voices coming closer. She sighed and bent down in front of me. “Such a shame we have to cut our relationship short. I’d kill you, but I don’t want you to leave the fun just yet. See you soon, Mister Garrett.” She pressed one finger into the hole she’s made with her heel a moment ago. I yelled out once more until she withdrew the finger and licked it clean. “You taste good. Maybe when we meet again, I’ll be able to get my fill of you.” She kicked me in the head so hard, it would have moved a car. I blacked out.